Bay Explorer are local boat tour specialists who are passionate about all our region has to offer. We are proudly Kiwi owned and operated, with plenty of experience running day trips from Tauranga. Endorsed by Department of Conservation New Zealand to interact with marine wildlife. 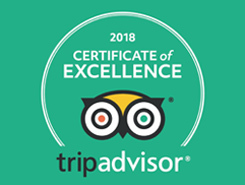 Accredited by QUALMARK Tourism New Zealand’s proud mark of excellence. Check out the Bay Explorer reviews on Trip Advisor New Zealand!